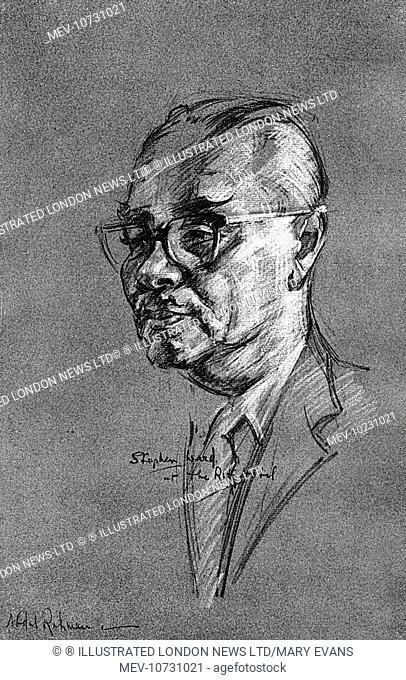 MP SPEAKS | Today is the 116th anniversary of the birthday of Malaysia’s first prime minister Tunku Abdul Rahman. Thirty-six years ago, on Feb 8, 1983, on his 80th birthday, Tunku issued the clear public message that plural Malaysia should not be turned into an Islamic State. Four days later, on Feb 12, 1983, on the occasion of his 61st birthday, the Third Prime Minister Tun Hussein Onn publicly supported Tunku’s call. It is most appropriate to remember this history when we watch the MCA president Wee Ka Siong turn and twist in his histrionics to justify something the founding fathers of MCA, whether or not Tan Cheng Lock or Tan Siew Sin would have approved, the political co-operation with PAS under the leadership of Abdul Hadi Awang – who is reviving Islamic State rhetoric and espousing the most toxic and vicious brand of politics of lies, hate, fear, race and religion to sow suspicion, distrust and hatred among the races and religions in Malaysia. Wee need not reply to the question whether he is aware that he would have lost his deposit in Ayer Hitam parliamentary seat in the 14th general election under the Hadi’s dictum that Muslims must vote for Muslim candidates, for all Malaysians know the answer. DAP has never denied that we had worked with PAS in the Barisan alternative from 1999 to 2001 and Pakatan Rakyat from 2008 to 2015, but DAP’s co-operation with PAS was based on principles – not opportunism or expediency. 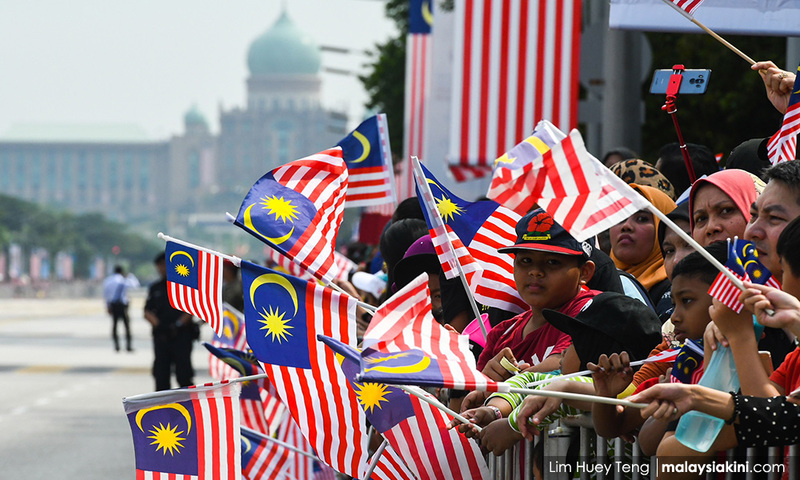 To achieve this, Malaysians must engage with a political Islam that recognises Malaysia as a plural society and believes that Malaysia’s greatness comes from the leveraging of the assets and best qualities from the diverse races, religions, languages and civilisations that meet in confluence in Malaysia, building tolerance, trust and confidence among the races and religions and not sow suspicion, distrust, fear and hatred among the races and religions. DAP leaders were prepared to pay a heavy price to achieve this national goal, including being defeated in the 10th general election in 1999 when Karpal Singh and I were defeated in the Jelutong and Bukit Bendera parliamentary seats, respectively. This is when the voters succumbed to the Gerakan/MCA propaganda against Barisan Alternative with the politics of lies and fear that a vote for DAP was a vote for PAS and an Islamic state, and that if I was elected, the Chinese could not eat pork, take alcohol and go to temples, while beautiful women woud not be able to find jobs and that there would be a chopping of hands and feet. The Barisan Alternative would not have been formed if PAS was not prepared to respect the opposition of DAP, Parti Keadilan and PRM to an Islamic State, focusing instead on the common objectives of restoring justice, freedom, democracy and good governance in Malaysia. When the second DAP-PAS cooperation occurred with the formation of Pakatan Rakyat on April 1, 2008, after the “political tsunami” of the general election that year, it was based on a joint commitment “to uphold the rights and interests of all Malaysians, regardless of religion or race, as enshrined in the Constitution”. But Hadi’s insistence to raise the Islamic State issue caused a crisis in Pakatan Rakyat, which was saved from dissolution after a late-night meeting of Pakatan Rakyat leaders on Sept 28, 2011, resulting in a joint statement by the leaders of the three parties in the coalition reaffirming their resolve to continue giving priority to Pakatan Rakyat’s common policy framework and consensus. This common policy framework and consensus excluded Islamic State and hudud and there was the clear understanding that any policy change in Pakatan Rakyat would need the agreement of all three component parties. Before the 13th general election, DAP rebuffed PAS overture for Hadi to replace Anwar Ibrahim as Prime Minister-designate of Pakatan Rakyat. After the 13th general election, the Islamic State and hudud issues re-surfaced and Pakatan Rakyat faced its demise in 2015 when Hadi persisted with the goal of implementing hudud in violation of the coalition’s common policy framework. Now Hadi condemns DAP as an “enemy of Islam”. But during the Teluk Intan by-election in May 2014, Hadi was full of praise for DAP and recalled that it was DAP that defended PAS when the Kelantan government fell in 1978. Although BN was working with PAS then, BN did nothing to help them. At that time, PAS followed the true teachings of Islam and was a strong opponent of corruption and abuses of power – but subsequently, Hadi took PAS through a major transformation by giving former prime minister Najib Razak support for turning Malaysia into a global kleptocracy! The reason is quite obvious – to divert public attention from Hadi’s withdrawal of his legal suit against Sarawak Report editor Clare Rewcastle-Brown and an out-of-court settlement which allowed the original Sarawak Report article on Najib giving RM90 million to PAS to remain online and Unretracted. This bring us to the question of why MCA is co-operating with PAS when Hadi is reviving the Islamic State rhetoric and espousing the most vicious and toxic politics of lies, hate, fear, race and religion to divide Malaysians in post-GE14 Malaysia? LIM KIT SIANG is the MP for Iskandar Puteri. Posted in Character and Integrity, civil society issues, Critical Thinking, Demoracy, Human Rights, Malaysia, Malaysiakini, Malaysians, National Unity, Pakatan Harapan, PAS, Politics, Religion, The Malays, The Sarawak Report-Clare, Tun Dr. Mahathir Mohamad, Tunku Abdul Rahman, UMNO. Have you heard the one about the Prime Minister and the one billion dollar donation from an Arab Royal (no strings attached)? Well, here’s another even taller story. The chief lawyer to the aforementioned Prime Minister has admitted after publicly claiming it was “nonsense” that he had after all been paid RM9.5 million by Najib Razak out of money stolen from 1MDB. 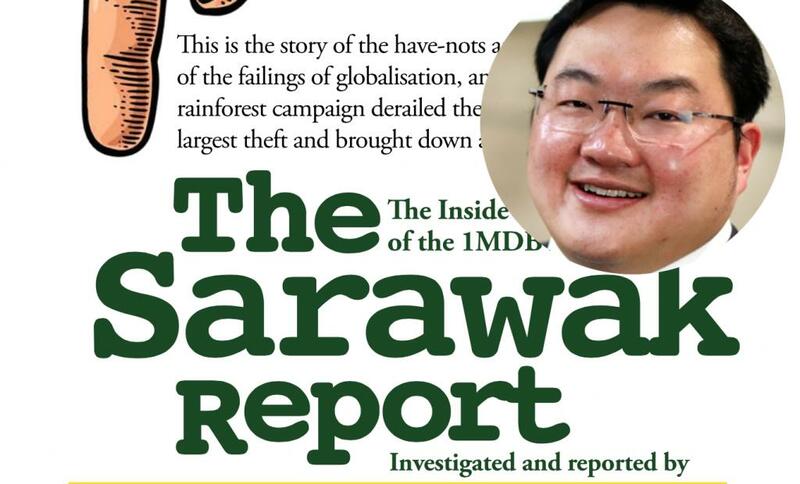 Earlier he had denounced Sarawak Report for exposing it and threatened to “see Anwar in court” for suggesting he had been bought, has now admitted the payment was in fact entirely true. Shafee had never imagined, of course, that BN could lose the last election and that all the forces of law and order would then be unleashed to investigate the whole affair. With the proof and documentation now presented by the public prosecutors in open court the lying lawyer has had to acknowledge the truth at last. He should be stripped of the right to practice immediately and thrown off the defence team for Najib Razak, which attempted to gag the entire proceedings, accusing none other than Sarawak Report of falsifying information on grounds of bias. However, Shafee still thinks he can explain his way out of the situation with a laughable tale of woe. The RM9.5 million was an act of kindness for a friend who needed a new house for his growing family, he said yesterday. What a big family it must be! Because of this tear-inducing situation the sharp suited lawyer had decided to tot up bills owing to him from UMNO for whom he had worked for simply years without getting round to pressing for payment. Perhaps he thought UMNO was short of money? Shafee goes on to explain that he therefore took an opportunity of a “chance meeting with” his close friend and confidante, Najib Razak, to raise the matter with him out of the blue. Why he had never done so on all the previous occasions when they had hunkered down together, for example to discuss how to manage the supposed allegations by one Saiful Bukari against Anwar and then strategise Anwar’s prosecution, is not explained. Najib paid Shafee out of his own bank account instead (from money that Najib says he thought was donated from the Arab Royal, but has also now admitted came from 1MDB instead). Strangely, Najib did not pay the money in one cheque. As Sarawak Report originally correctly reported, Shafee received one payment RM4.3 million in 2013 and a later payment of RM5.2 million in 2014. That RM5,200,000 received in February 2014 came just a fortnight before the Appeal Court overturned the earlier acquittal of Anwar, after Najib had specially brought in Shafee to handle the prosecution case. Shafee still says this was not a payment for those services however. He still claims that he did that bit of work for UMNO for free – or rather he claims he did it “for the country”. Pascal Najadi, the grieving son of the murdered banker Hussein Najadi, former Chairman of AmBank, has pointed out that the payment in September 2013 came just a month after his father was shot dead. Najadi has claimed that his father had attempted to make a police report and to notify the banking authorities about the mysterious billion dollar payments that had entered Najib’s account at his former bank shortly before his assassination. Can you spot Lawyer Shafee Abdullah who had mysteriously appeared at the hospital? He also says that Shafee had mysteriously appeared at the scene as his father’s body was transferred to hospital and had aggressively taken over the handling of affairs, including a swift burial before he could reach his father’s side. He has asked if the two matters might be connected and who paid Shafee to turn up at the mortuary to take control? Malaysians have been left to digest Shafee’s own explanation of events and the fact he has admitted now to lying in public about the whole affair. In the end they will have to see how he fares in court. Posted in !MDB Financial Scandal, Money Laundering, Najadi Murder, Najib Razak, The Sarawak Report-Clare. Malaysia has dispensed with juries, meaning that concerns around issues of contempt and the potential for reporting to influence the outcome of trials are lessened. Nevertheless, Malaysians are agreed former Prime Minister Najib Razak ought to receive a fair and objective hearing, which was something he and his current defence lawyer, Shafee Abdullah, spectacularly denied to others when the shoe was on the other foot. Two wrongs don’t make a right. Aside from the specific details of the charges, what the unraveling of events in recent weeks has shown is just how extensively this former Prime Minister and those around him have been prepared to blatantly lie to justify their actions and foist accusations on others in the process. Given this record of lying, it is likely to be challenging for Najib to present himself as a reliable or trustworthy character with regard to a single thing he says. Take for a start today’s charges, which mirror the original charges against him in 2015, which were published at the time by Sarawak Report. Back in 2015 Najib immediately announced that these charges (now confirmed by Dr Mahathir after consultation with the former Attorney General) were a complete fabrication. Not only that, Najib used the false denial to set the full force of the law onto Sarawak Report. A raft of charges were brought, accusing the editor of scheming to bring ‘false news’ and to destabilise the government, described as ‘activities detrimental to parliamentary democracy’. Not satisfied with issuing an arrest warrant in Malaysia on these exotic grounds, Najib even went so far as to attempt to get INTERPOL to also issue a Red Notice terror alert, all based on the same false denial about a story that has turned out to be true. The Prime Minister went on to employ executive powers to ban online access to Sarawak Report and bully other media into not covering any of this website’s further reporting, again on the grounds of his own false denial. A campaign of online villification and defamation was then unleased to attempt to further discredit Sarawak Report. Far worse was experienced by whistleblower Xavier Justo, who was denounced and then arrested and imprisoned on false charges in Thailand as part of the same campaign to deny thefts from 1MDB. The Swiss national was blackmailed in captivity to issue false confessions, all designed to exonerate the Malaysian Prime Minister and others on matters relating to the very charges he now seeks to deny, namely those thefts from the fund. Najib, therefore, has not just a record of denying the truth, he has come after those who spoke the truth with a vengeance and forced others to tell lies to suit his narrative. So what credibility will his denials hold, one wonders, against the charges themselves? It will be for the judges, thankfully, to weigh the facts. This astonishing case is of course further distinguished by the fact that the leading defence lawyer has arguably almost as extensive a track record of being accused of dishonesty and abuse of process as his client himself. He has taken on the case after several previous lawyers hired by Najib headed for the exit, however Shafee Abdullah goes way back with the Prime Minister as the world knows. There is barely a controversial case involving Najib, that has not also involved Shafee over the past decade. The Altantuya cover-up and the now rejected and discredited prosecution of Anwar Ibrahim were both managed by Shafee. Indeed, over the past few weeks Shafee has been publicly roasted by a high court judge for having claimed to be the legal representative for Deepak Jaikashan in the Altantuya cover-up, when, in fact, Deepak complained he was being blackmailed to accept Shafee as his representative to enable Najib to control his submissions in the case. The judge threw Shafee’s out , along with this lawyer’s cooked up defence, which Deepak complained had been constructed on behalf of his secret genuine client, Najib Razak, not the actual defendant, whom he was purporting to represent. 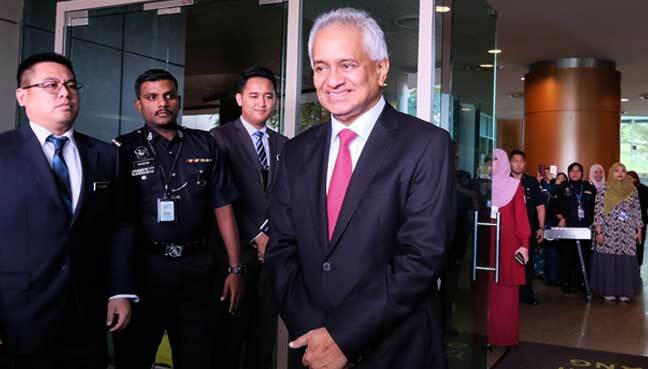 Last year Shafee attempted to sue fellow lawyers, including the present Attorney-General Tommy Thomas (pic above), for libel over their reporting of him to the Bar Council for improper conduct over the prosecution of Anwar Ibrahim. Shafee’s conduct during that prosecution had indeed been the subject of much concern on many levels and his libel case was thrown out by the judge on the grounds that the reporting of the matter to the Bar Council was well justified. So, this allegedly duplicitous pair are now to be the key players in the upcoming headline grabbing trial where Najib is defending himself against charges brought by none other, of course, than Tommy Thomas. On the matter of payments, Sarawak Report has already revealed that Najib issued Shafee two cheques totalling RM9.5 million in late 2013 and early 2014, from one of the suspect SRC funded accounts that are at the centre of this trial. The reason for those two payments have never been explained, although they coincided with the period during which Shafee usurped the role of the public prosecutor in the Anwar case, which he claimed he had performed for free as a public service to the nation. He has yet to comment whether he will be taking a fee to defend Najib. However, what is certain is that any writer would be hard pressed make up a stranger set of circumstances or such a narrative of role reversals as the one about to be played out in the Malaysian High Court before the eyes of the world over coming weeks. Copyright © 2018 Sarawak Report, All rights reserved. Posted in 1MDB Financial Scandal, A-G Chambers, Character and Integrity, Corruption, Ethics, Justice, Malaysia, Najib Razak, Rule of Law, The Sarawak Report-Clare.